You’ve probably never met Derek Pruitt. But there’s a very good chance that he’s touched a product in your medicine cabinet. He’s part of the team that packages Prilosec and makes Pepto-Bismol, DayQuil and NyQuil at Procter and Gamble’s Personal Health Care plant on Swing Road in west Greensboro. He’s in charge of quality control. It’s work he loves. He’s been doing it for nearly two decades. Derek grew up in Ruffin in rural Rockingham County, and worked in textiles right after high school. He moved to P&G in 2000. He started as a line technician, bottling and packaging liquid Pepto-Bismol. Every bottle of the ubiquitous pink stomach medicine sold around the world is made right here in Greensboro. He ran his own machine. Three years ago, he moved over to handle quality control in the Packing Materials Lab. The cartons, the foils, the raw materials – Derek is one of the people going over every piece to make sure it is ready for the customer. 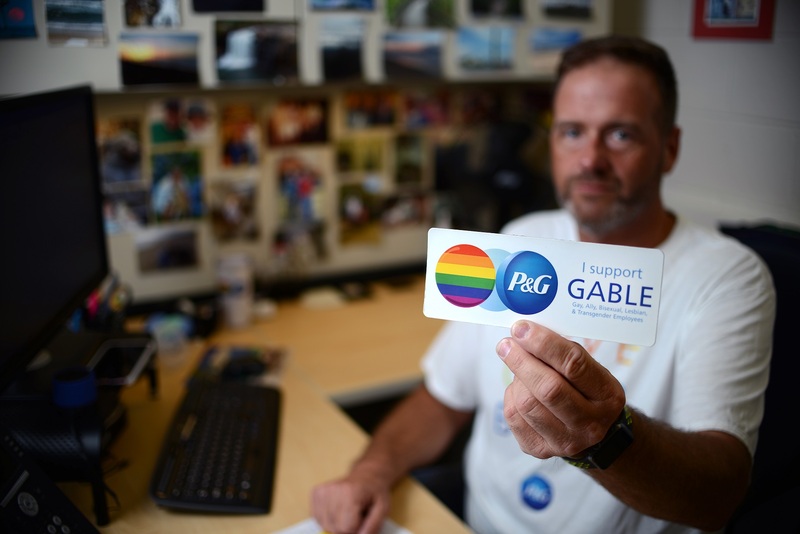 Derek was not open about being gay until after he came to work for P&G. 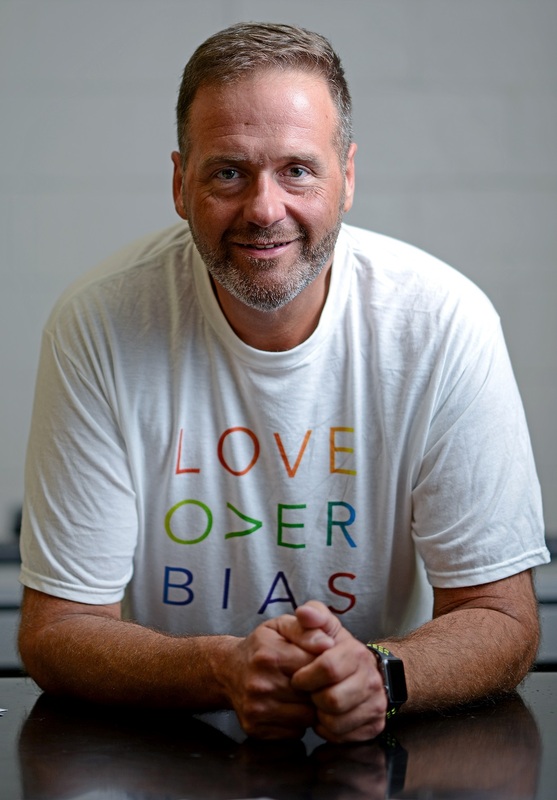 “It was really nice to have an employer say, ‘Be who you are. Come to work. We have your back,’” Derek says. “GABLE tries to keep a very active presence in the plant. You never know who you are going to touch when new employees come in.” Derek says. Derek plans on staying at P&G. The pay and benefits are great, he says. But he’s also got a lot of pride working at such an iconic business.